Remember to support US skiing and donate to the NNF Drive for 25. All donations are quintupled by a 5-1 matching donor. To donate at my ambassador page: http://grouprev.com/ericpacker. We’ve had an awesome camp in Canmore with lots of high quality on snow training. After starting the camp with several days of easy distance, this week we ratcheted up the intensity with a classic 10k TT on Monday, skate speeds on Thursday, and a classic sprint race on Friday. It was fun to go head-to-head with the top guys from the US and Canada in all-out efforts. I was able to find some of my strengths and weaknesses on snow, and come up with specific technical goals for the coming month. 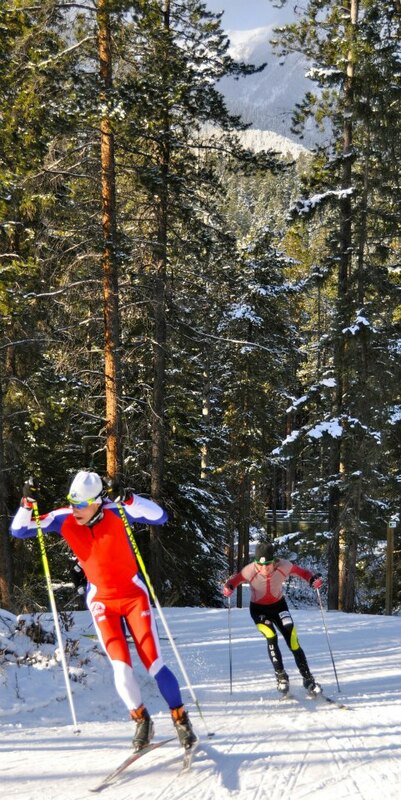 The Canmore Nordic Center has done a great job of creating a world-class early season training venue. With the cool temperatures and the snow guns running around the clock, the skiing got better and better all week. It’s pretty rare to enjoy midwinter skiing conditions in October. 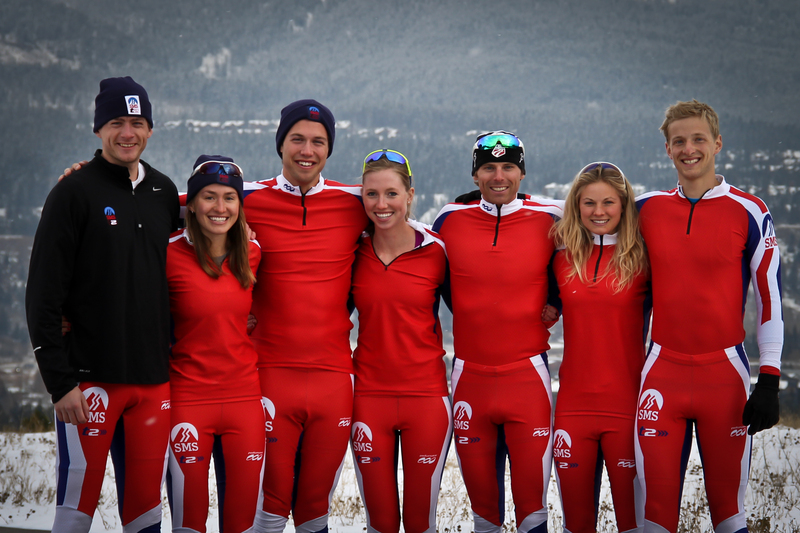 A big thank you goes out to the Canmore Nordic Center for making it happen! Here are some training videos from the past week. We also took some SMST2 photos in our new uniforms. From here, the team scatters and everyone heads to their respective homes for two weeks. Andy and Jessie then head off to Europe for the season opening World Cups, while the rest of us head to West Yellowstone and Bozeman to kick things off at the season opening Supertours. I’m now in the Seattle-Tacoma airport on my way home to Anchorage for the first time in almost a year! I’m looking forward toward two weeks of training at home with the Alaska Winter Stars before the season kicks off.